Research conducted today by the Urban Transportation Center (UTC) contributes to improving transportation by making it safer and more efficient through more effective service, operations and management. Studies have helped public and private sectors better navigate ways to fund, finance and secure legislative and public support for new transit systems or to expand existing ones. Intermodal freight transportation projects provide breakthrough findings that are used by railroads to develop strategies needed to stay competitive and reduce conflicts in an always-changing business and regulatory environment. And, specialized research that combines primary data with existing sources has proven vital in transportation planning and policy analysis across all transportation modes. Since the UTC was founded in 1979, staff has conducted research later acknowledged as setting national standards in areas like paratransit planning, carpooling and vanpooling, Intelligent Transportation Systems (ITS), transportation challenges related to urban sprawl and finding transit solutions for lower income people commuting to work. Today, the UTC concentrates transportation research into these four clusters. Transit planning, operations, and management. Locally and nationally, research conducted on behalf of transit agencies and departments provides valuable data needed to keep systems operating. UTC researchers have completed studies that address capital investment, facility design, service planning, operational strategies, strategic plans and programs, and technology implementation and evaluation. Transportation funding and financing. Public transit systems, highways, bridges and other transportation infrastructure require considerable capital expenditures to plan, build and maintain. The UTC has considerable experience in developing research that helps obtain the dollars needed to build or grow both public and private sector projects. Freight planning, operations and management. The freight rail industry is expected to boom due to increased shipments of crude oil and expanded intermodal operations. For years, the UTC has specialized in studying and analyzing intermodal freight transportation systems. Research has focused on freight policy analysis, economic and land use impact assessments, and modeling. Data development for transportation planning and policy analysis. Accurate data is the driver behind good transportation planning and policy research. Using traditional and modern techniques, researchers at the UTC analyze and present data from primary and secondary sources to provide planners the insight needed to make sound transportation decisions. UTC research reports by category. UTC research reports by year. UTC working papers and reports. Presentations made by UTC researchers. Through the Metropolitan Transportation Support Initiative (METSI), the UTC receives ongoing funding to complete a wide range of topical transportation research. METSI is funded through a grant from the Illinois Department of Transportation (IDOT). Additional work includes technical assistance, education and training to IDOT and other Illinois transportation and planning agencies. The TRANPRO Information Management System was developed by the UTC to assist the Illinois Department of Transportation in implementing transportation coordination as outlined within the Illinois Human Service Transportation Plan. TRANPRO provides consistent comparable data to facilitate transportation planning, coordination and mobility management. The system includes a detailed statewide transportation provider inventory and geo-coded socioeconomic data at the local, regional and state levels. The 220 MPH High Speed Rail Preliminary Feasibility Study, a joint project between UTC researchers and colleagues from the Urbana/Champaign campus, was released in September of 2013. The conclusion: 220-mph service is feasible between Chicago and Champaign/Urbana, and on to St. Louis. 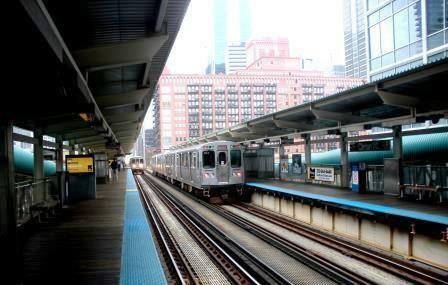 The CTA Project was a long-range program between the UTC, the Chicago Transit Authority, and the Massachusetts Institute of Technology. The goals were to provide knowledge to support efficient, equitable and appropriate capital investment, policy and operating decisions. The Urban Indicators and Spatial Decision Support Systems project was undertaken by faculty and graduate research assistants at the UTC. The project created a Web-based platform about key social, economic and infrastructure trends.